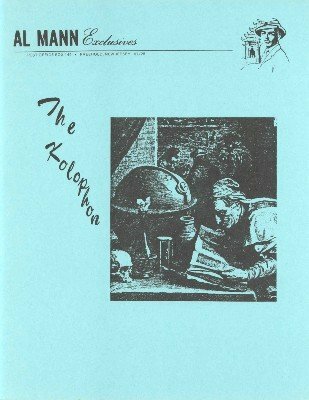 From the Forward by Al Mann: In January of 1979, Bobby Hughes of Columbus Ohio, showed me his amazing presentation which we have called, "The Kolophon." It seems that just a year ago, Bobby was busy buying many props and gimmicks to use in his mental show. Today all of the props and most of the gimmicks have been eliminated and Bobby now works out of his pocket or with borrowed scraps of paper. That is the type of mentalism preferred and what is offered in this book. Therefore AME Salutes Bobby Hughes for his unique effect with envelopes. The Kolophon is a threshold that reveals a hugh landscape and we hope to come up with more miracles. AME also salutes Stan Alexander for the excellent principle used in The Dyad of Chronos.